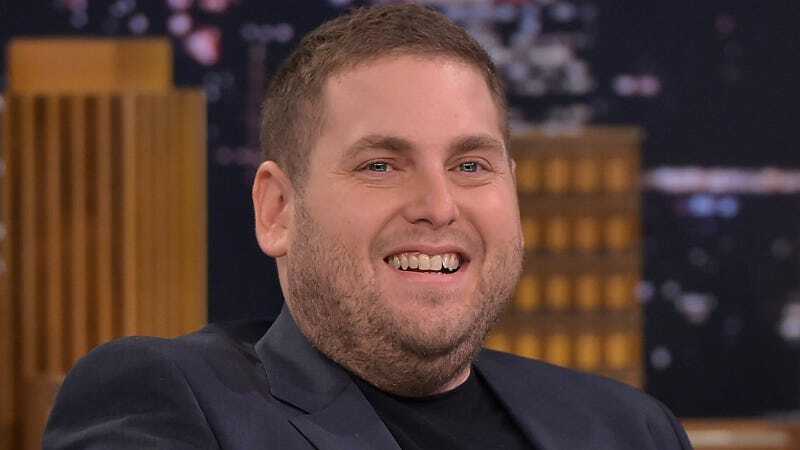 On Monday afternoon, two-time Academy Award nominee Jonah Hill (typing that always makes my heart race) was having a phone conversation on a Manhattan sidewalk when he was approached by a rabid fan wielding an iPhone. Leonardo Dicaprio was spotted leaving lunch in NYC’s West Village on Monday. After spending weeks overseas, the Oscar winner arrived back at home in NYC where he dined with a few pals. As he was leaving the restaurant, he spotted Jonah Hill, who was having a phone conversation and minding his own business. Leo takes his phone out, and POUNCES, sneaking up and Scaring him on video. It appeared that Leo was Snapchatting the funny moment. After being scared, Jonah realized who it was and the two shared a long hug. They decided to take a walk together and strolled through Soho before splitting ways. UPDATE: The tweet including video of the encounter has been deleted, and has been replaced with a photo of Jonah Hill smiling—perhaps while thinking of his dear friend Leonardo DiCaprio.